The lovely Jennifer Durrans from Outside of the Box has nominated Nikkipedia for the Liebster Award for new bloggers! I really appreciate your nomination Jennifer, thank you very much. http://nikkipedia87.blogspot.co.uk – ‘a blog about life, reviews and so much more’ really honestly written! That really means a lot to me because I want to write honestly about life, things that have affected me and anything that interests me. I hope to be able to help or encourage anyone with my words. 1. Where is your favourite place to be in the world and why? 2. What excites you the most about blogging? I’ve found myself just wanting to write. I wanted a new creative outlet and thought this would be a great way to go. Its also a good feeling to know that if someone is affected by something I’m giving advice about I am helping them. 3. If you had to choose one colour to wear for the rest of your life what would it be? I think black. I’ve always loved the look of smart black clothes. Its a colour I’ve always felt comfortable wearing. 4. How do you relax and wind down after a long day? Definitely getting comfy on the sofa with a drink and either a video game or watching TV or a DVD with my fiance. 5. What is the funniest thing that has ever happened to you? In 2015, while visiting the zoo on holiday, we were at the lion enclosure. They were inside their house behind glass but I couldn’t see them properly. My fiance could see what was coming and said “This glass doesn’t look very thick”. As soon as he said it the very large male lions head shot right up the glass in front of me. Needless to say, I jumped a mile. We still laugh about it now. 6. How do you schedule your blogging around your life? I’ll always keep notes on ideas for posts, but I usually prepare my blog posts in the morning before doing anything else. I then have the rest of the day for what ever else I have to do. 7. What do you look for in other people’s blogs? Usually, I look for blogs based around my interests or new things I’d like to try. Its also helps me if I feel a connection to the writer through their way of writing. I try to incorporate this in my own blog. 8. What are you doing this evening? Some parts of this evening will have to remain a secret until after the 27th February as it concerns my fiances birthday surprise *excited! * We’re also settling down to watch Saturday night TV. 9. What is your favourite animal and why? Penguins! I absolutely adore penguins. They look so clumsy on the snow and ice but in the water they are so graceful. I’d like to think they were like me when I was a swimmer and I am a little clumsy. I just think they are little cuties. 10. If you weren’t blogging, what would you be doing? If I wasn’t blogging right now I’d be doing housework. We can always take a little time out of housework for a bit of blogging, right? She puts a lot of effort and time into the blog posts she makes, and are very informative posts. “I am just getting into fashion and fitness. If you are new to either of these two, please join me!” Definitely caught my eye with this and her posts. Its two new topics that I’m getting interested in. “runningafterbaby – Running after my baby” A great story of motherhood. Something which I am looking forward to experiencing myself. Everyone likes a bit of cake 🙂 Some recipes on here I’d love to try myself. An interesting read from an aspiring young writer. “Tech News From Ireland & Around The Globe” Technology is at the forefront of everything these days. Interesting blog. A great travelling blog. The most recent post gripped me as Florence is a place I’d love to visit. Beautiful pictures. Really caught my eye. Interesting articles for the gamer or geek inside us all. An interesting read, and eye-catching images! Good articles for new bloggers. Eye-catching. A good read and fantastic images. Thank you my nominated blogs for your links. Here are the 10 questions you need to answer in your blog post. You now have to nominate 11 blogs yourself and make a set of questions for them. 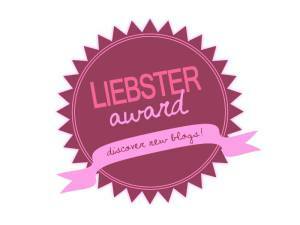 Proud to show off my new Liebster Award badge! Thanks again for the nomination Jennifer. Thank you for the nomination ma'am,its the best recognition that I have got till date! I'd love to see your post once you've completed it.